Seeing as I haven&apos;t tried DnB mixing for a while, I decided to have a go at one of my favourite artists of the drumstick. 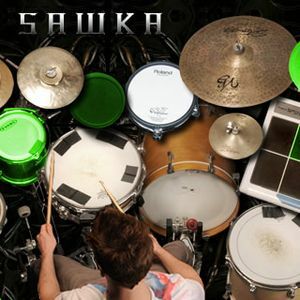 KJ Sawka is a live craftsman of Drum and Bass beats who now plays with Pendulum. If you have never checked out his videos, I strongly urge you to do so on Youtube. The ability to physically play some of these beats has to be seen to be believed and his level of imagination and creativity with a non repetetive beat is mindblowing. This however does make this the trickiest mix I have attempted so far as with the number of beat skips and his tendency to reset the primary bar beat, it is VERY easy to get lost in the fade and it can be tough to hear the main beat as there is so much going on in his tracks. I must admit the mix is a little unimaginative but I was enjoying the music at the same time, so forgive me for trying to keep it pure! Check out KJ&apos;s albums, Undefined Connectivity, Cyclonic Steel, Live at Chop Suey and Synchronised Decompression for more.